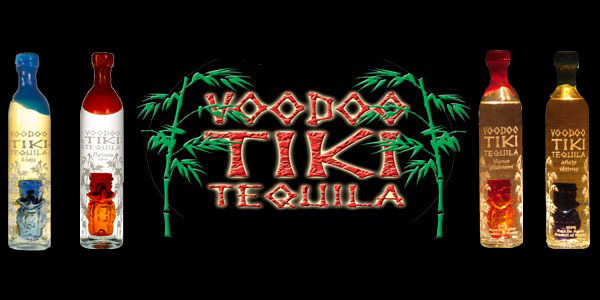 Made with fresh ginger in a classic infusion process, Ginger Simple Syrup adds complexity and fragrance to your gourmet “Mixology Class” Voodoo Tiki Cocktails. 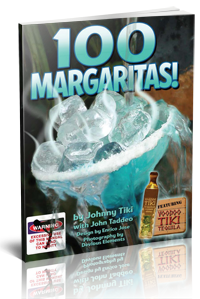 Highly recommended for use with Voodoo Tiki PlatinumTequila. The natural sweetness, and true agave flavor of “Los Altos” agave mixes well with the fragrant nature of Ginger Simple Syrup. This recipe utilizes the “Hot Water” simple syrup method. The “Cold Water” method, generally used for non-flavored simple syrups is not recommended. This recipe makes eight (8) oz of Ginger Simple Syrup and can be stored refrigerated for up to two weeks. Bring the water to a boil in a saucepan. Remove heat. Stir in sugar slowly dissolving the entire two cups of sugar into the hot water. 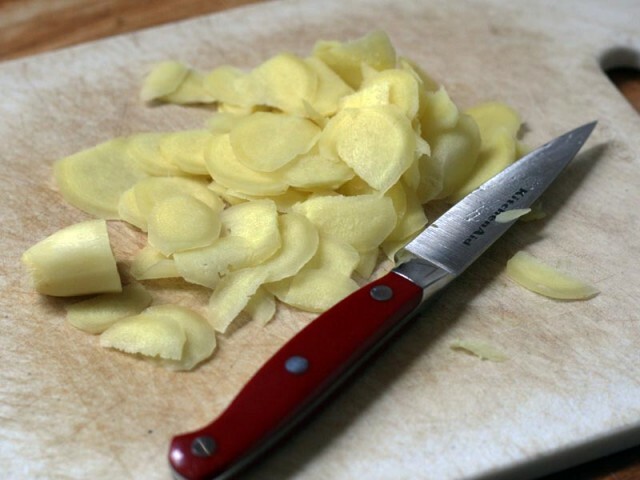 Slice the ginger with a carrot peeler, trying to create thin slices, but large enough that they can be easily removed later. Place the ginger in a heatproof infusion jar. Pour the hot simple syrup over the ginger. Let stand at room temperature to cool and infuse overnight. Remove ginger pieces. Store in the refrigerator after removing ginger. 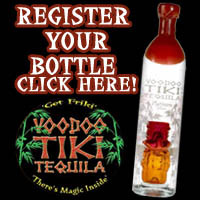 Would you like to receive Voodoo Tiki Tequila cocktail recipes, coupons and free tequila swag by mail? Join the Tribe now!